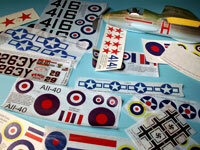 These are the materials Dave uses to build his planes. 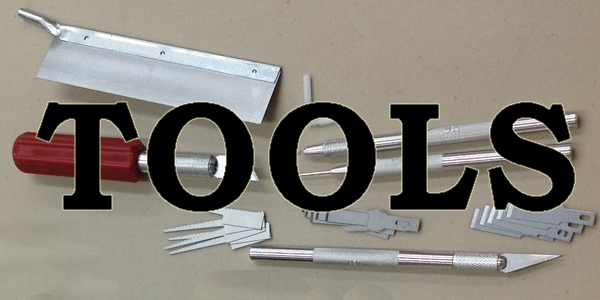 All the tools you need to build your airplanes. Click on the picture for details. 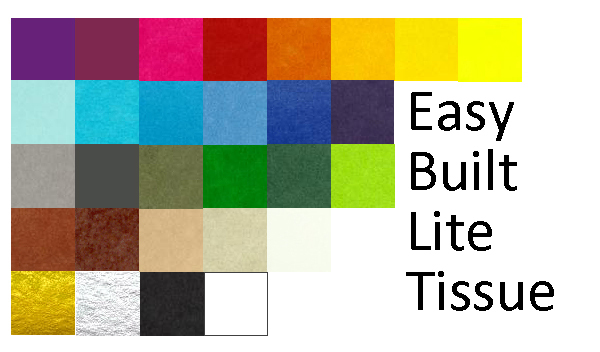 Easy Built Lite tissue covering, available in 31 colors. Click on the picture for details. Esaki Japanese tissue, available in 8 colors. Click on the picture for details. 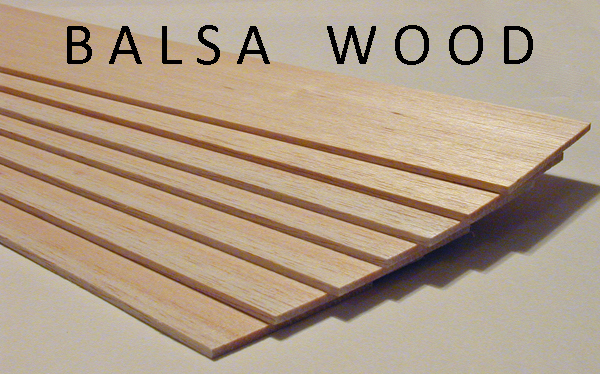 Easy Built balsa wood is all hand picked and available in many different dimensions and weights. Click on the picture for details. 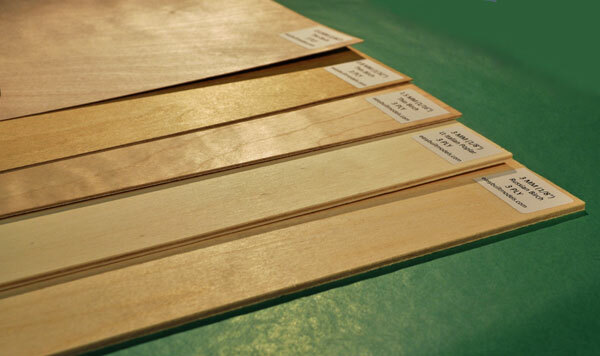 The finest aircraft grade plywood. 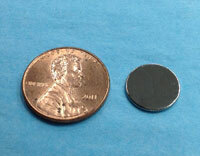 Available in thicknesses from 1/64" to 1/8" (0.4MM to 3MM). Click on the picture for details. 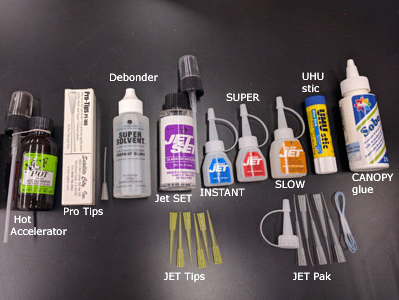 "When I’m ready for the glue I use JET CA glue and UHU glue stic." Glues, accelerator, and debonder. Click on the picture for details. Extra markings for our kits. 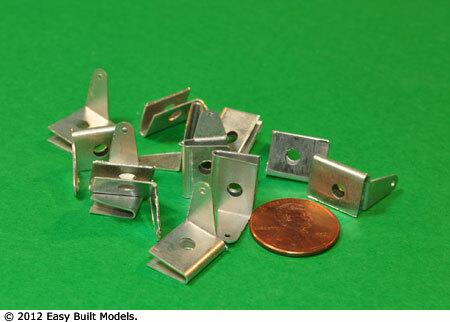 These may also fit other planes you are building. Click on the picture for details. 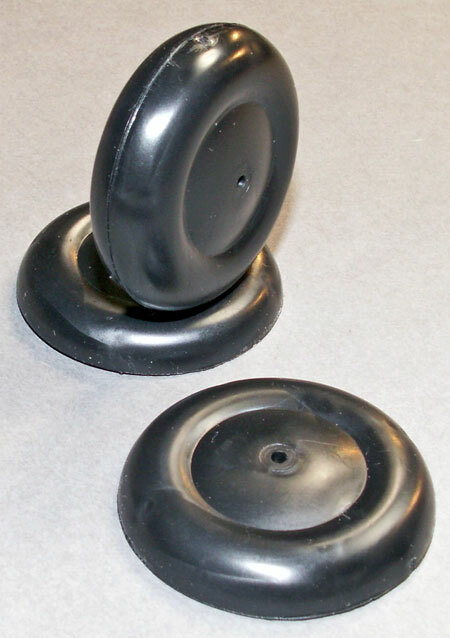 Extra vacuum molded parts for your airplane. 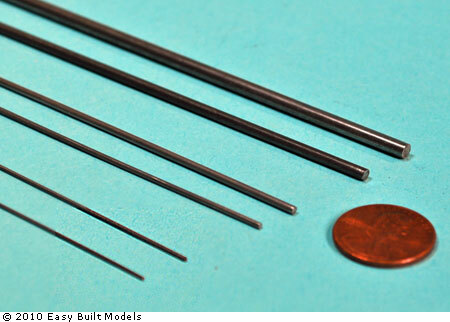 Crystal clear canopies, turrets, cowls, and other parts for Easy Built Models kits. Click on the picture for details. 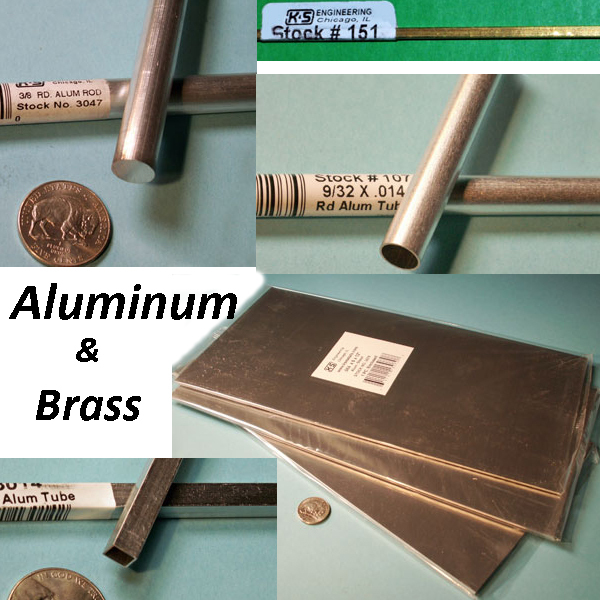 Round & square tubes, rods, and sheets. 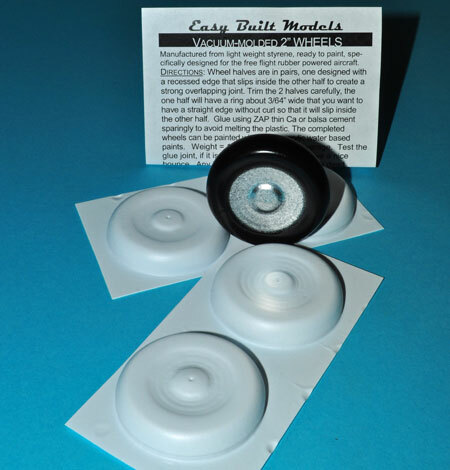 Extremely light weight vacuum molded pilots and engines for your rubber powered plane. Click on the picture for details. 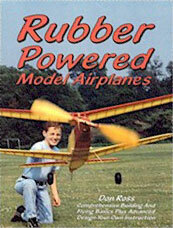 Recommended reading for those wishing to master building and flying skills or to merely brush up, these books should be next to your building board. Click on the picture for details. 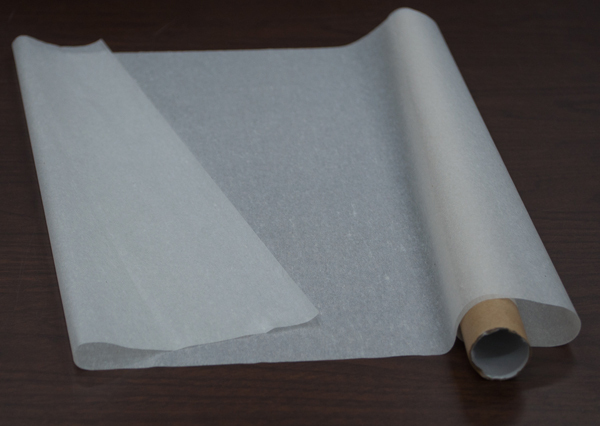 EBM Silkspan covering material in generous 10 foot rolls. 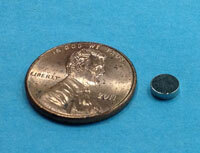 Weight is 1.3 grams per square foot. 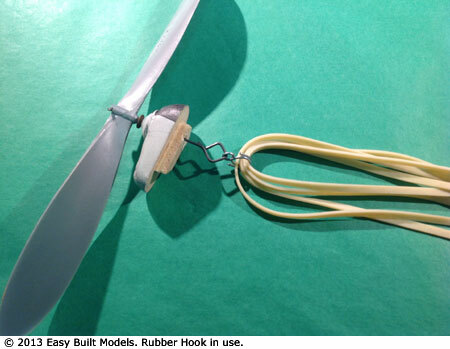 Read the review of EBM Silkspan by fellow builder Kevin McCartney. 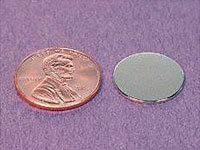 GAMPI Tissue covering material. January 2017 batch. 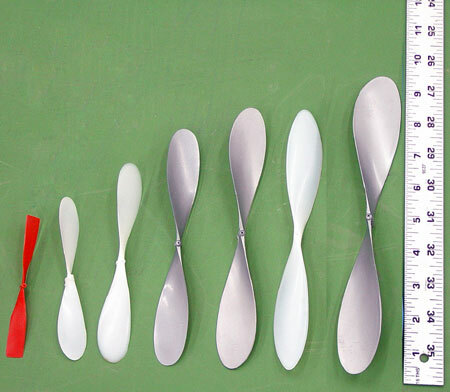 12 grams per square meter; lighter than Esaki; the tissue does have a grain running in one direction; typical Gampi with one side slightly shiny; wet strength is less than Esaki; dry strength is stronger than Esaki; suitable for smaller planes given its weight and suitable for larger planes given its strength. It accepts pastel chalk for those interested in an alternative to paints. 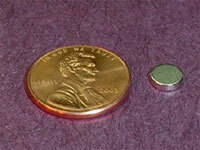 Shrinkage can be controlled. Water shrinks the tissue in one application, rubbing alcohol is gentler and may take several cycles of application and drying. 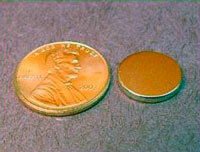 Depending on how you prep and apply it will determine how much it shrinks. Given its low wet strength it can be difficult to work with on compound curves compared to Esaki. Our team testing its use found it very suitable for peanuts and for covering tail surfaces on larger models where you want to avoid warpage. Good puncture resistance. 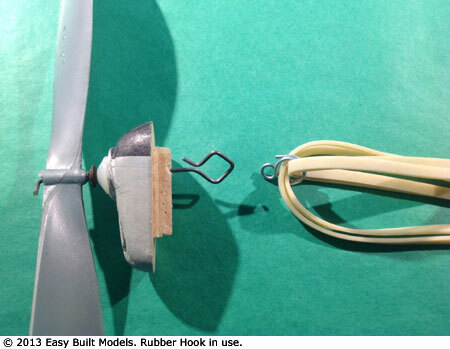 Can be adhered with UHU glue stic, water based glues or dope. 12" x 24" Light, durable, crystal clear PETG plastic. 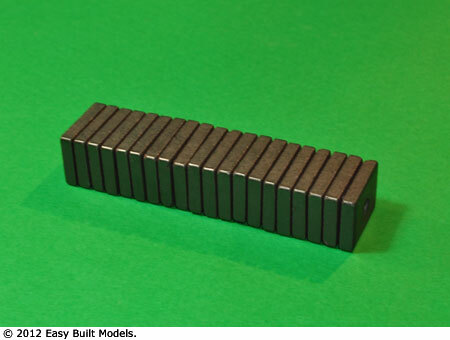 Use for forming windshields, canopies, turrets etc. Choose from 4 thicknesses. 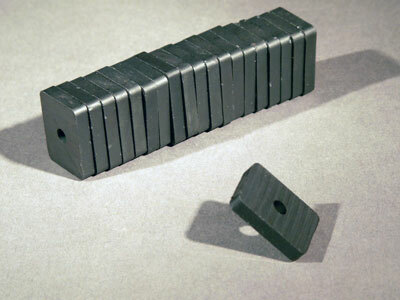 Rubber motors are sold in lengths of 32 feet. 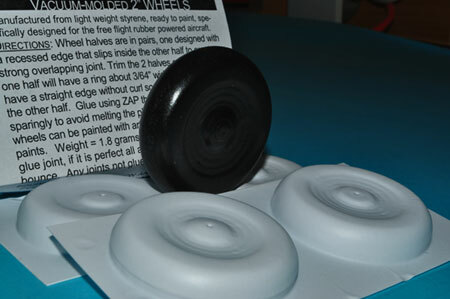 We carry 2 types, our own brand of rubber, Easy Built Models Gray Rubber, which is used in most of our rubber powered kits, and FAI SuperSport rubber which is popular with competitive fliers. 3/64" shafts. 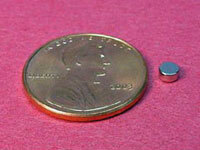 All shafts fit our small and large EBM thrust bearings. 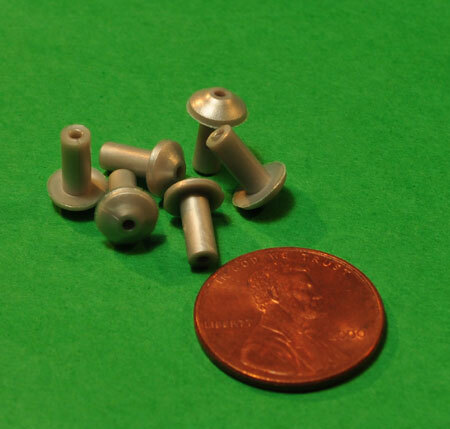 These tiny to miniscule size magnets are nickel plated rare earth magnets used by model builders for securing removable wings, nose blocks, or other plane parts that will survive a hard landing because they simply detach from the fuselage upon impact. 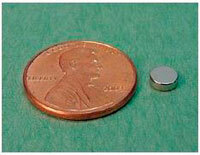 Although very small and light, these magnets are extremely powerful. Sold by the piece. 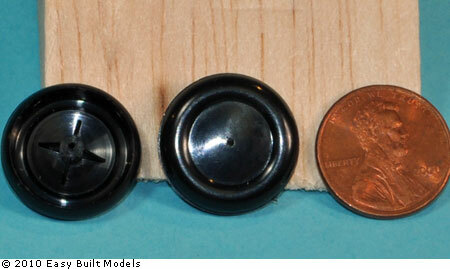 READ Dave's how-to for choosing and installing Moses Magnets. Made by KP in the United Kingdom. You can choose from 15:1 or 10:1 gearing. 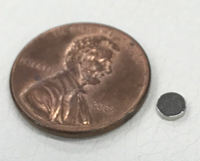 They look the same on the outside but the gearing on the inside determines the number of winds on the rubber motor for each turn of the crank. 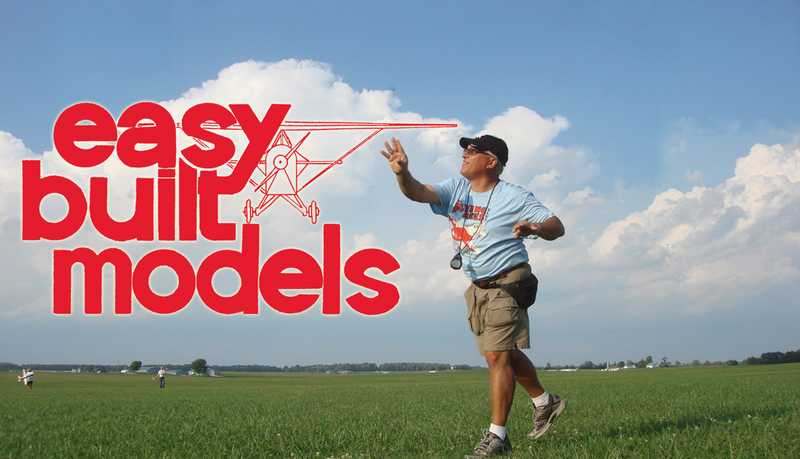 The 15:1 winder is best suited for indoor flying and smaller models. The 10:1 winder is recommended for outdoor flying in general, and is obviously the easier one for calculating number of winds. 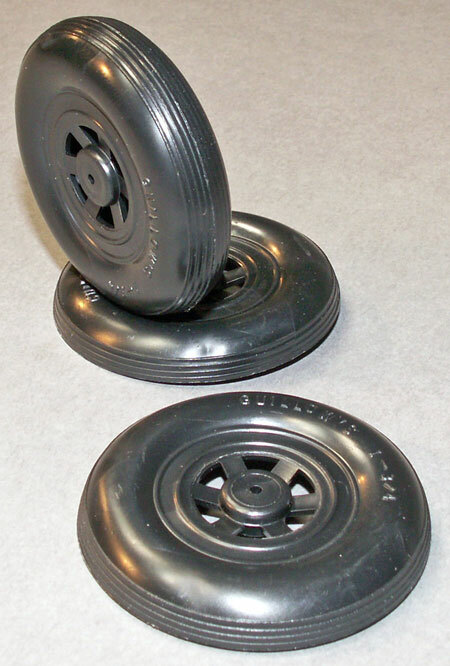 Our 1" and 1 1/2" black plastic wheels come in halves that you fit together. 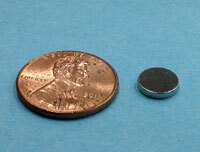 The 2 sizes look the same except for the difference in diameter. A pair of wheels comes as 4 halves. 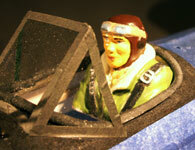 Manufactured from light weight styrene ready to paint, specifically designed for rubber powered aircraft. 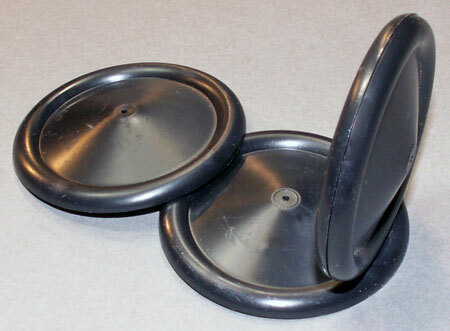 Wheel halves are in pairs, designed with a recessed edge that slips one half inside the other to create a strong overlapping joint. 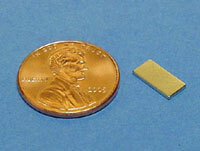 Glue using Jet INSTANT or balsa cement. 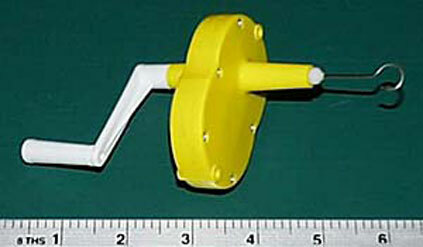 Make your own hole for the axle to fit whatever diameter music wire you need. 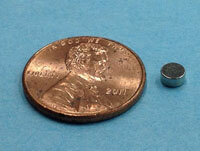 Finished weight = 1.8 grams/wheel on average. 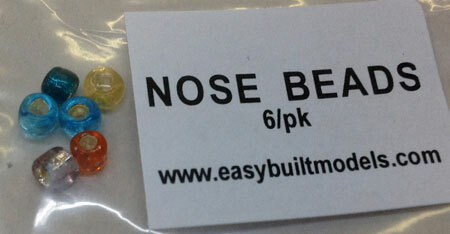 Item B315 - 6 per pack. 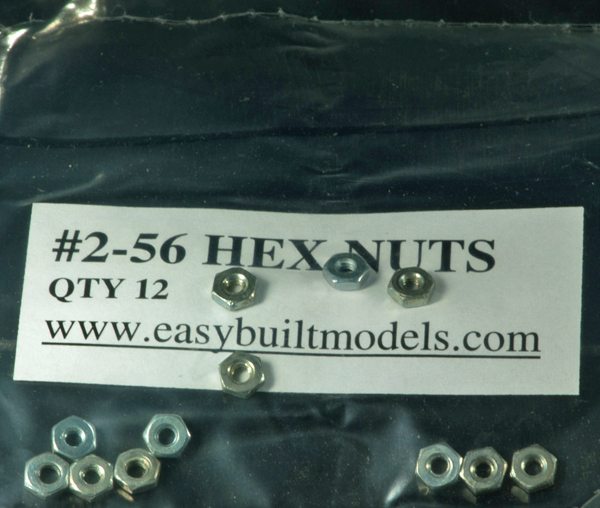 #2-56 Hex Nuts. These nuts fit #2-56 bolts. 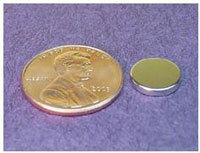 Item B313 - 12 per pack. 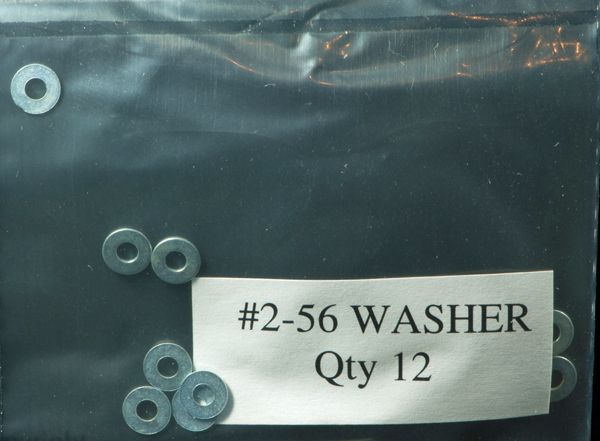 These washers fit #2-56 bolts. 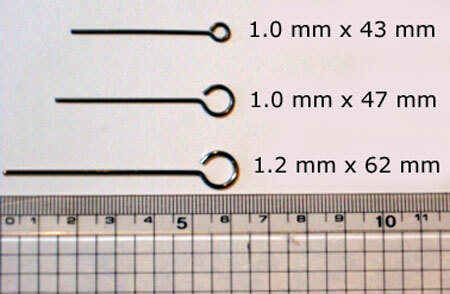 Item B316 - 12 per pack. 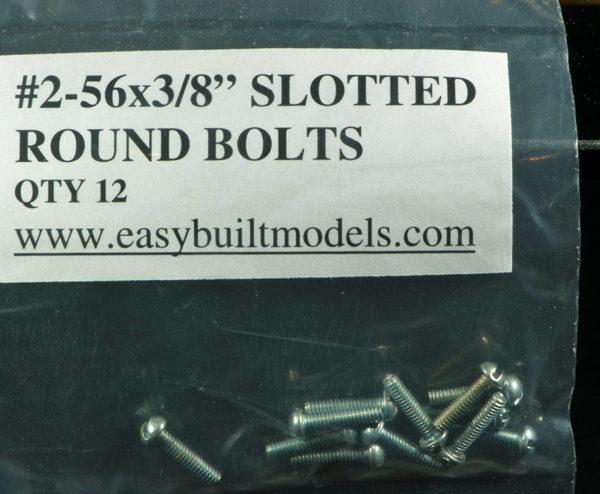 #2-56 x 3/8" Slotted Round Head Bolt. Item B310 - 12 per pack. 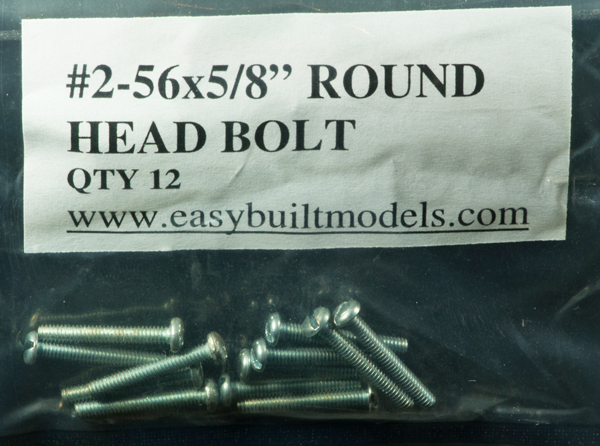 #2-56 x 1/2" Slotted Round Head Bolt. 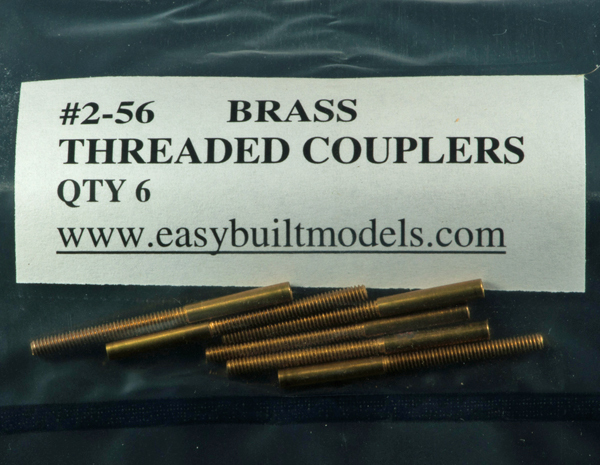 Item B307 - 12 per pack. 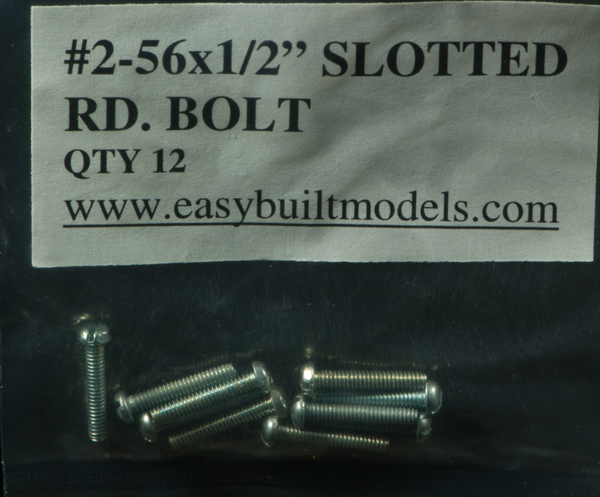 #2-56 x 5/8" Slotted Round Head Bolt. 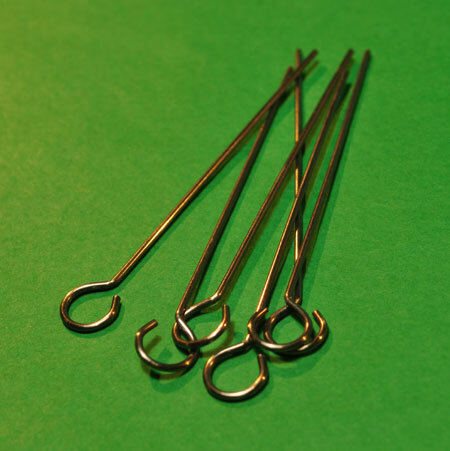 Item B309 - 12 per pack. 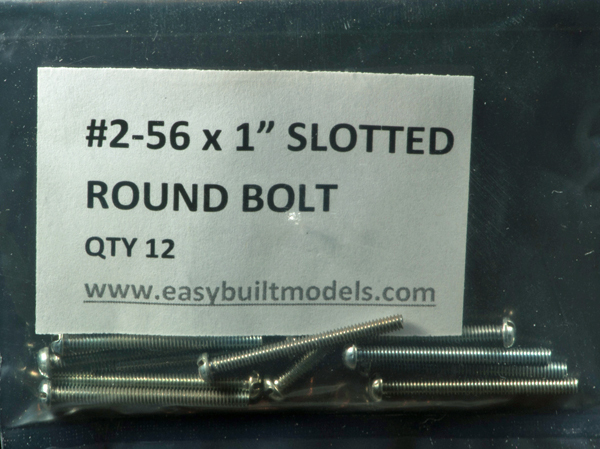 #2-56 x 1" Slotted Round Head Bolt. 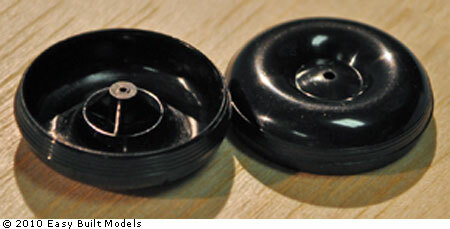 Item B306 - 12 per pack. 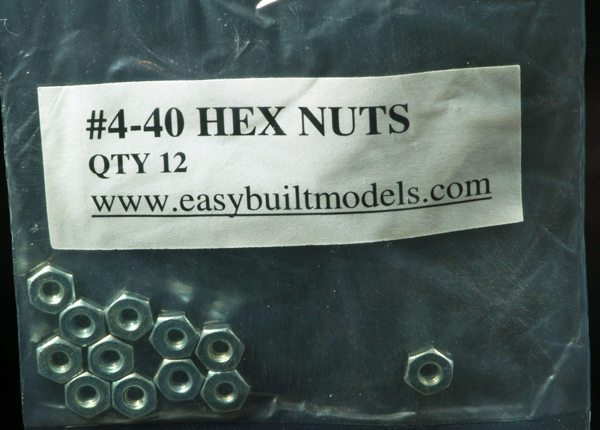 #4-40 Hex Nuts. These nuts fit #4-40 bolts. 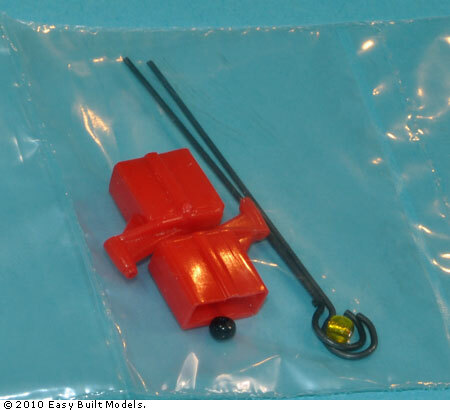 Item B312 - 12 per pack. 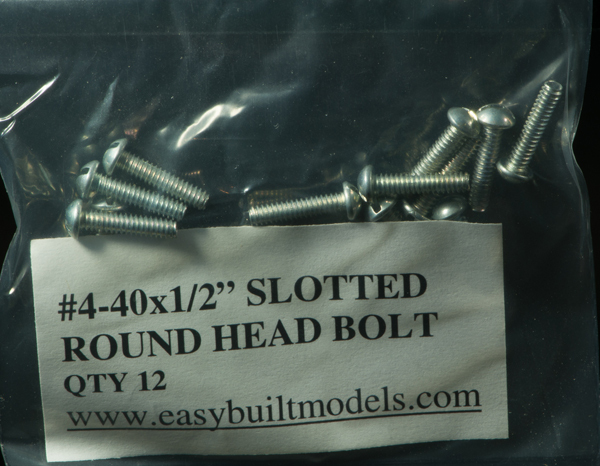 #4-40 x 1/2" Slotted Round Head Bolt. 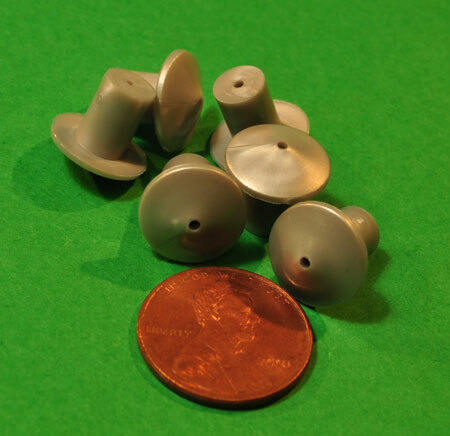 Item B308 - 12 per pack. 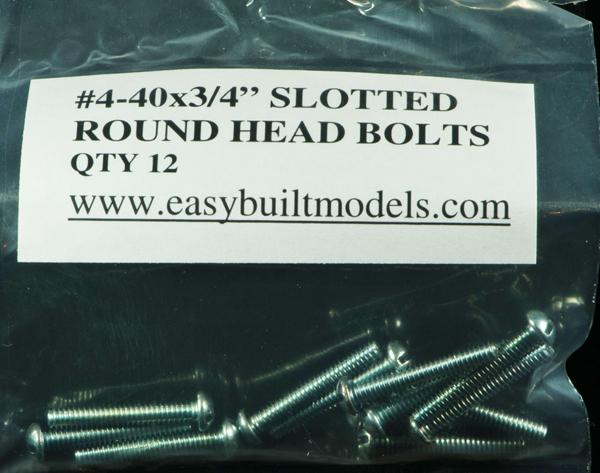 #4-40 x 3/4" Slotted Round Head Bolt. 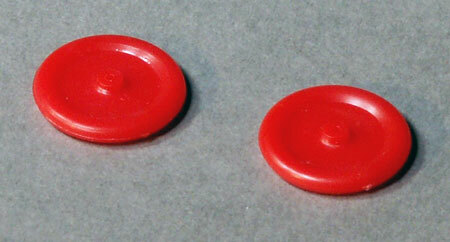 Item B311 - 12 per pack. 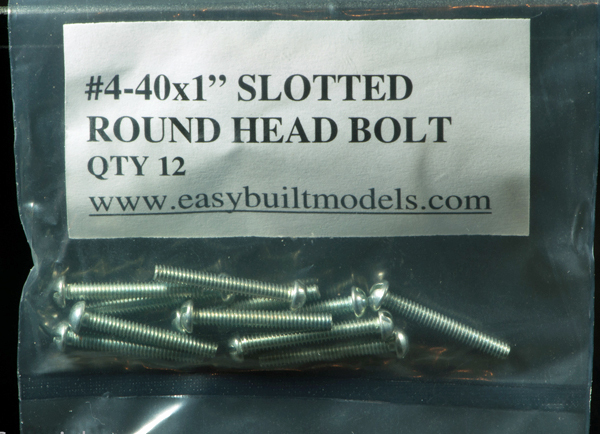 #4-40 x 1" Slotted Round Head Bolt. 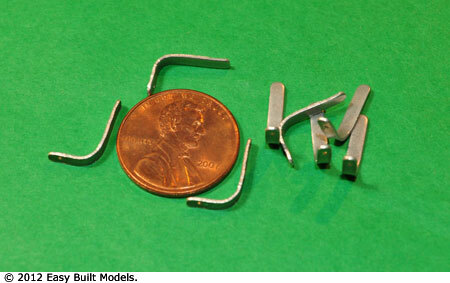 Item B305 - 12 per pack. 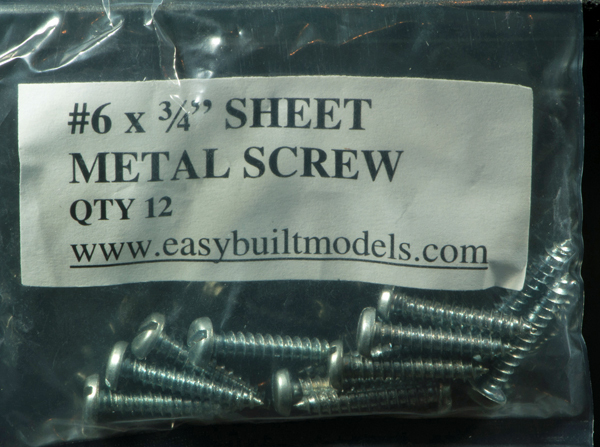 #2 x 3/8" Sheet Metal Screws. 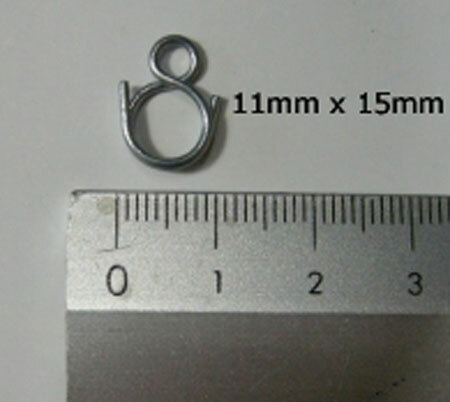 Item B318 - 12 per pack. 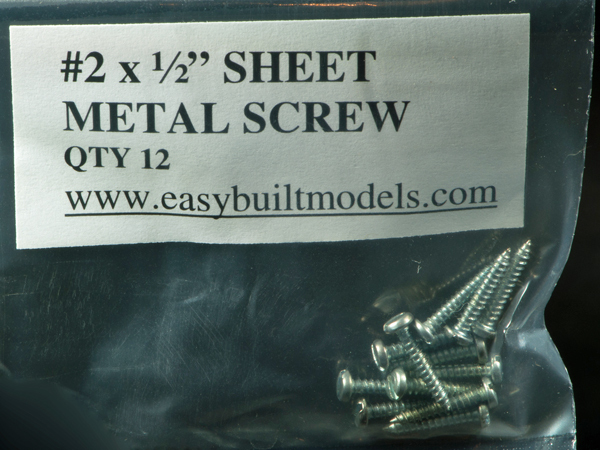 #2 x 1/2" Sheet Metal Screws. 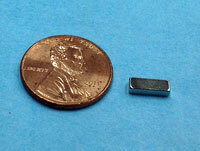 Item B317 - 12 per pack. 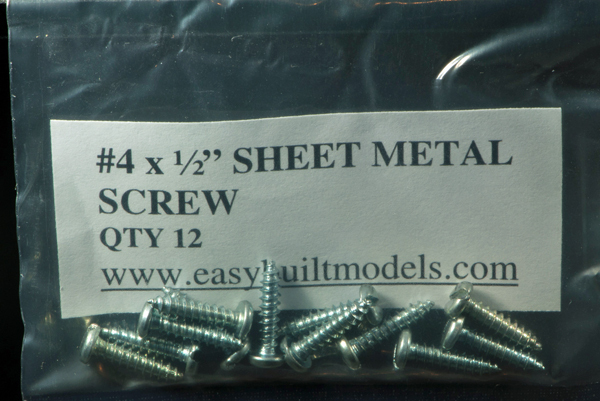 #4 x 1/2" Sheet Metal Screws. Item B319 - 12 per pack. 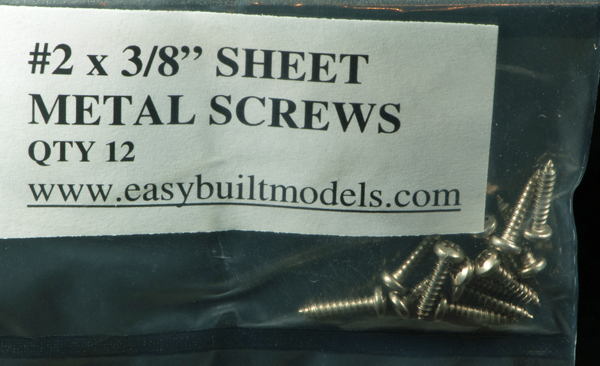 #6 x 3/4″ Sheet Metal Screws. 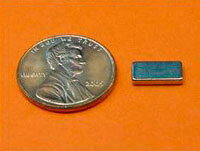 Item B314 - 12 per pack.